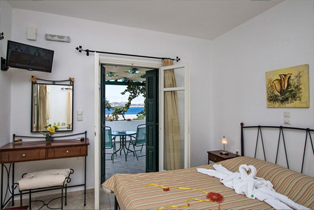 Akrothalassia Rooms is a complex of two buildings facing the gulf of Adamas, some 10 m from the sea. 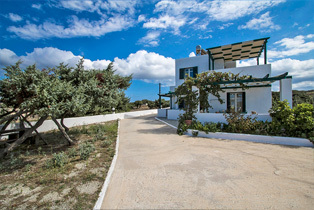 The area is called Vigles, in the middle of the gulf and 4km from the center of Adamas and its port. 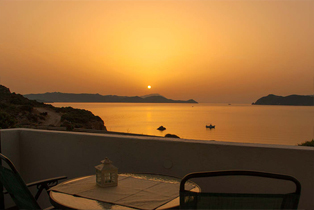 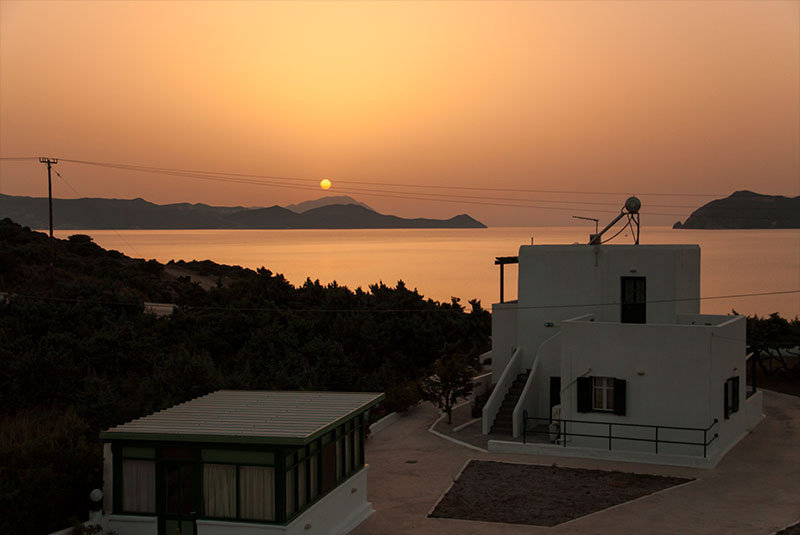 From Akrothalassia Hotel, the sea view you can enjoy from the rooms covers also the various villages, from Adamas to Plaka, a postcard view both in the morning and at night, and from your balcony you may enjoy the colorful Milos sunsets. 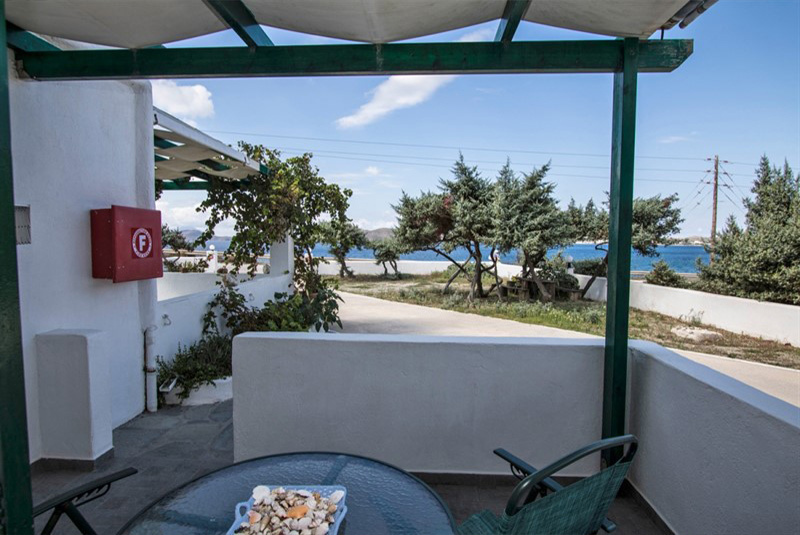 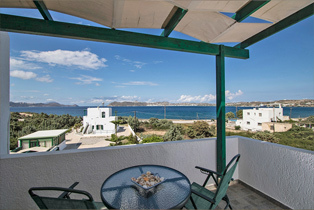 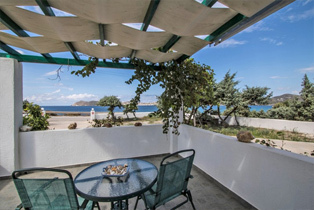 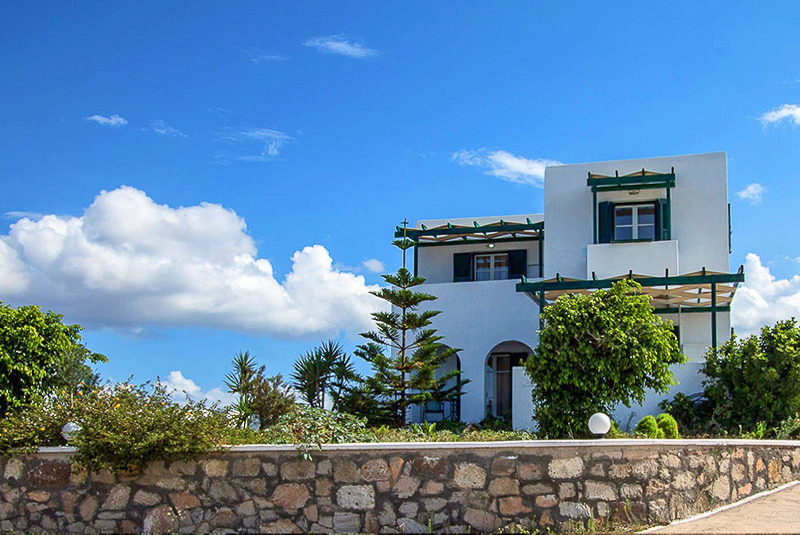 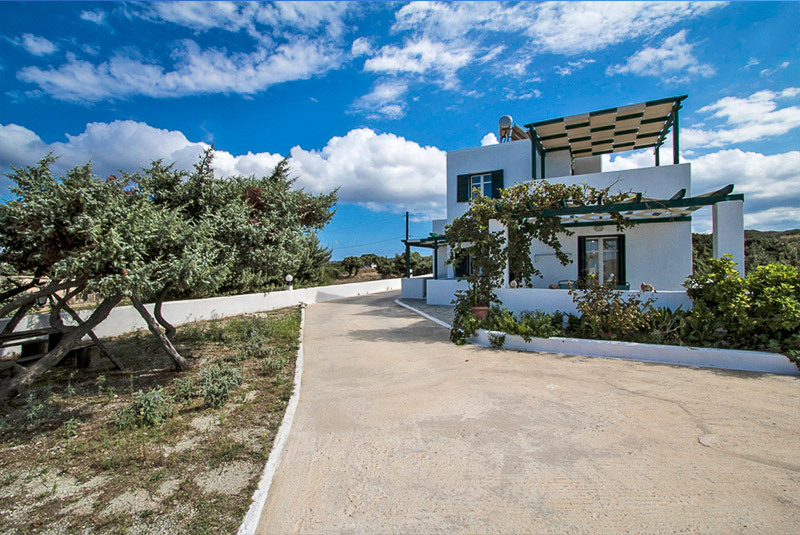 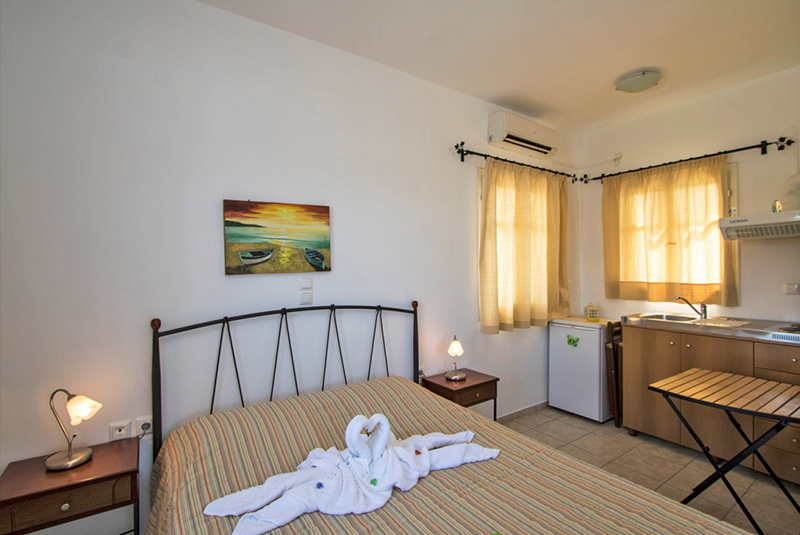 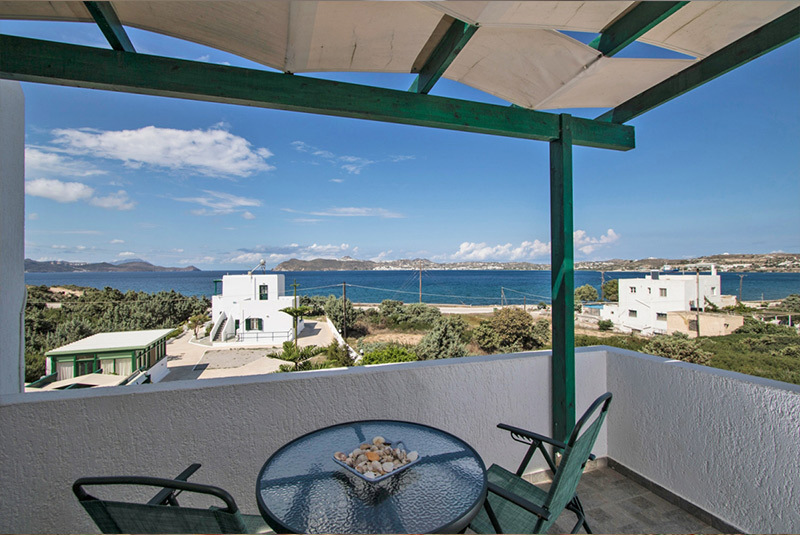 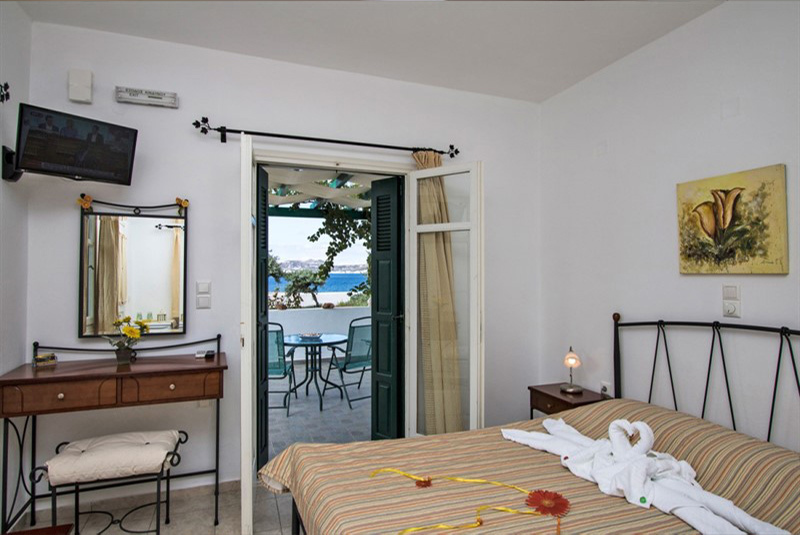 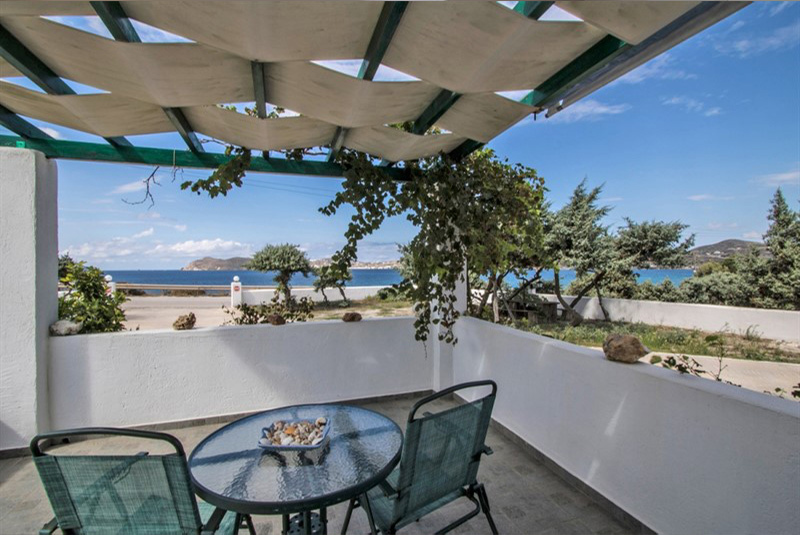 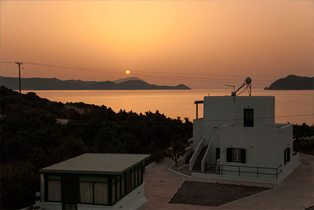 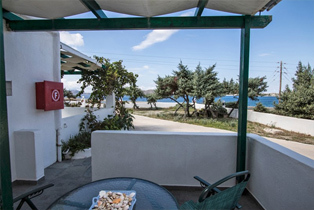 Akrothalassia Hotel in Milos is located centrally in respect to all beaches, restaurants and services, while enjoying the distance from noisy villages centers. 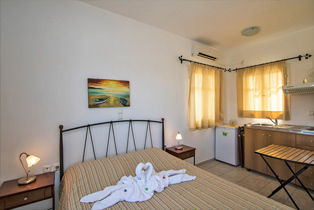 Our 8 double rooms are large and comfortable and two of them can host up to three people. 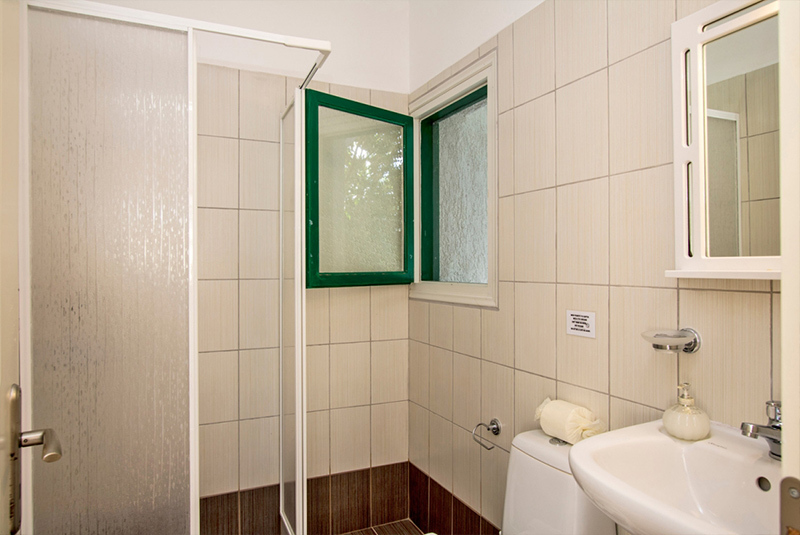 All have their own bath, A/C, TV, fridge, free WIFI, and an equipped balcony. Private parking , reception and daily cleaning. 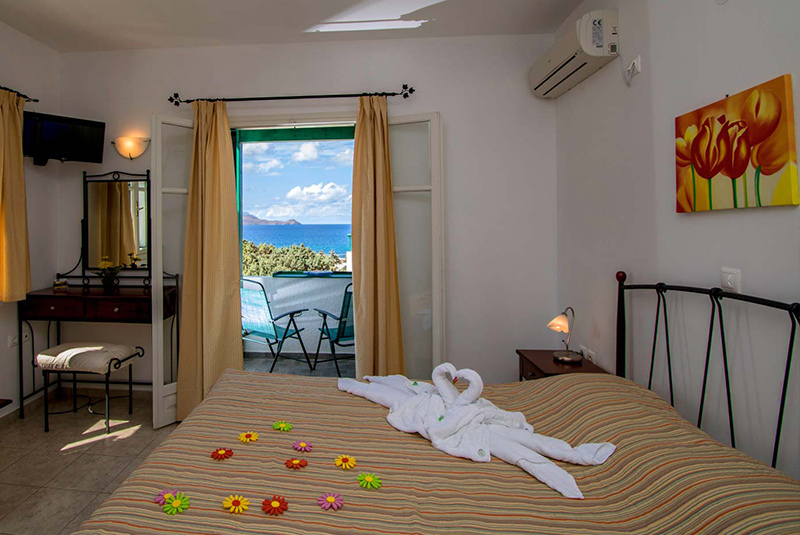 Please ask for breakfast information.